Does your commercial kitchen need a charbroiler? 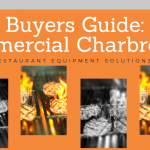 Check out this buyer’s guide to learn all about commercial charbroilers and how to choose the right one for your establishment’s kitchen. When all your kitchen work in done on prep tables, you need to make sure you ahve the right ones. Prep tables can be used as cutting boards, storage, and they decrease risk of cross contamination. 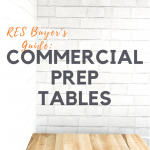 Check out this article to learn more about commercial grade prep tables and why your (and everyone’s) kitchen needs one (or two.. or three..)! Steamers play a large role in many kitchens and offer a great technique for cooking that produces very nutritious and enjoyable food. Steam is a great way to cook food with many restaurants and food service establishments having adopted steamers as a primary piece of equipment in their kitchens. Do you really need different glassware for different drinks? We think so… and you might as well after you read this article! Is your restaurant in need of a fresh juice option? Planning to add fresh orange juice to your grocery store selection? Or do you just want to stop buying $10 juices at the market? Then you need a commercial juicer! Perfect for citrus, veggies, and any other fruits, you won’t be sad you made this excellent purchase! Learn more about juicers in this buyer’s guide. Trying to figure out if your restaurant needs a tilt skillet? Or just what a tilt skillet is? The tilt skillet, or braising pan, is a very versatile piece of restaurant equipment that can accomplish a variety of cooking tasks and techniques as well as produce a large amount of food in a relatively short time period — but check out this guide to learn even more! Interested in purchasing a Combi Oven? Check out this handy guide featuring their benefits and drawbacks. Commercial Combi Oven Buying Guide. Wondering if your catering company should be using induction heat or chafer fuel? 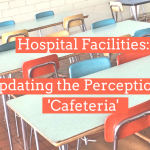 This article will give you insight into both heat sources so you can make the best decision for your company this catering season.